As an only child growing up in rural North Carolina, my imagination took me everywhere. After attending art school, I moved from one cultural mecca to another; learning screen printing, textiles, and graphic design along the way. How did your company, Lovelane Designs come to fruition? Lovelane Designs came about after I moved to Savannah, GA. What started as a small home goods business featuring screen printed tea towels and other home decor grew exponentially when I was inspired by my daughter’s adventurous play. Her makeshift pillow case and bath towel cause inspired me to make [something] she’d reach for everyday. My daughter Clementine, 6-years-old, and my Boston Terrier puppies Pixie and Lemmy, ages 10 and 9 respectively. Clementine has always been a favorite name of mine, I love that it has a classic Southern sound while still being modern and unique! All sorts of things… design sketches for the next season, quick reference notes for our seamstresses, textile swatches, bits of art by our friends and sketches by Clementine. To Kill A Mockingbird has always stuck with me. It's a classic for a reason! I snuggle up with Clementine and our pups on our front porch, sharing tea or chatting with friends and neighbors as they stroll by. We love to go on adventures wherever we are. Just last week we spent a free day while in New York for business visiting the Museum of Natural History We learned about so many different creatures. It was amazing. Clementine’s really into Monster Makeup right now. It’s always fun to see what characters she can become. That no matter how much you prepare ahead, the best lessons and moments happen along the way. I always dreamed of creating, so I guess not too much! Spending time with those you love, creative things that have value and quality, giving back. In making sure I’ve done the right thing. We’ve grown up so much! And it’s been so amazing. We stay connected by making time for ourselves whenever possible, date nights are a necessity! You can never be overprepared or ask too many questions. It’s always better to have more information and open communication. It’s not going to be exactly as you imagined, but you’re going to love it anyway. It’s definitely about compromise, because you have to learn how to be sympathetic and willing to work around somebody else’s desires outside of your own! That it might not seem like it now, but when you fight for what you believe, things can turn out beautifully. Never be afraid to learn along the way, and accept that things won’t always turn out like you think, but that that’s completely okay! What is the best advice you have every received? Wet wipes, coffee, healthy snacks in my tote for those busy days, and a most supporting tribe to help out when needed! 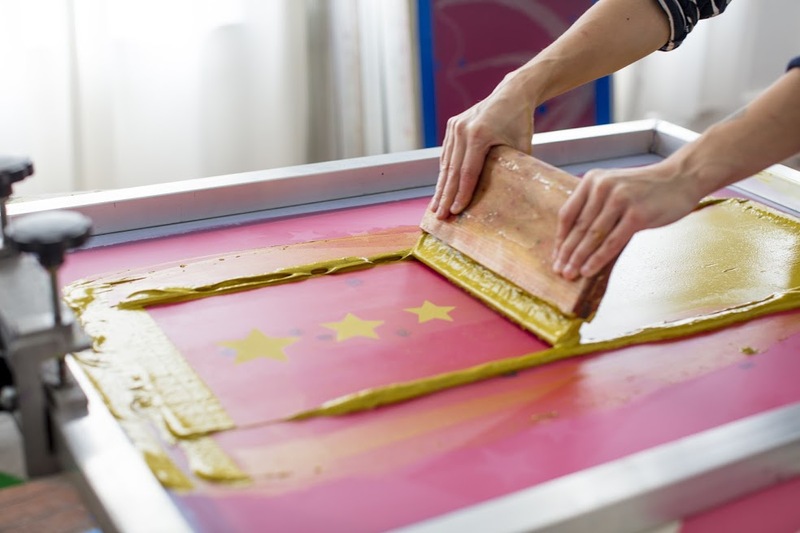 ABOUT LANE/ Lane Huerta initially began her Lovelane adventure by designing and screen-printing tea towels, pillows and other home décor. It wasn't until 2014 when she discovered the joy of making capes and crowns for children, including her own daughter Clementine. Once Etsy.com featured her work on their homepage, suddenly the demand for these empowering costumes soared. 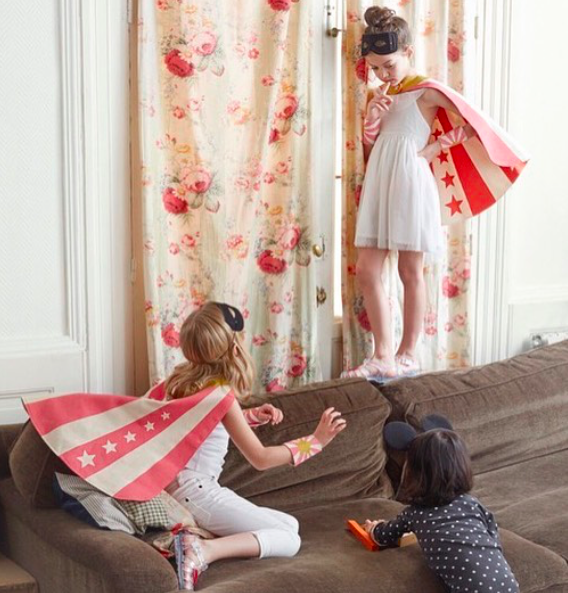 Today, Lovelane has expanded beyond their superhero cape sets into other creative themes like fairy tales and animals. Lane just came out with an amazing book called Superhero Sewing.